Nexsan provides a comprehensive range of enterprise-class, easy-to-use and efficient system solutions that offer customers the ultimate value proposition when it comes to meeting their ever-evolving storage requirements. Nexsan’s focus for over 18 years has been to build the most reliable, cost-effective, efficient storage that is purpose-built for specific use cases and business needs. Whether you require scalable and highly-flexible NAS, a global private-cloud sharing infrastructure, block storage for databases or Exchange, or secure archiving, you can trust Nexsan reliability and quality. Nexsan offers the only complete line of file, block, archive, and file sync and share solutions, saving you time and money. 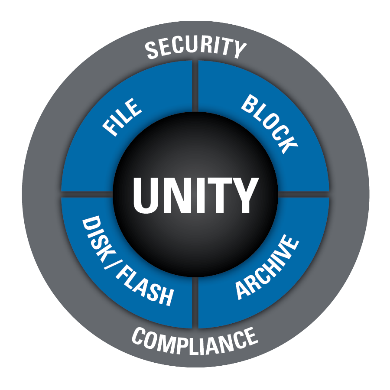 Unity™ Combines Enterprise-Class Performance and Flexibility and supports advanced block and file workloads. E-Series is a versatile SAN or DAS solution offering a high-density, high-performance, highly-scalable and ultra-reliable storage solution for demanding workloads like media & entertainment, government, healthcare, surveillance and so many more. Nexsan's BEAST is a practical, cost optimized storage workhorse enginereed to deliver superior reliability, availability, and density. Unity Assureon Archive and Assureon protect your information better than any other archive solution on the market. WANT PowerByte Solutions Inc TO CONTACT YOU? Showcase Content © Nexsan 2019. All rights reserved.